No not that kind of belt!!! I’m talking about the ones in stereo equipment, turntables and tape decks. The little rubber ones that make things spin. They are great for the job they do because they don’t transfer motor vibration or rumble to the platter or heads and they are relatively cheap but if they are used for a long time bad things happen. If you’ve ever been to the La Brea tar pit then you have a good idea of what rubber belts become inside stereo equipment. I’m sure I could give a nice long scientific explanation of why the long chain polymer bonds start to break down when they don’t have physical movement but suffice it to say that they do and it is ugly. 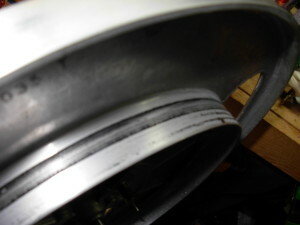 The good thing about rubber belt tar is that it is dissolved by common rubbing alcohol. The bad part i s that it is intricate tedious work removing it from all of the small parts that it tends to sludge onto. Sometimes a belt will lie across a large area when it liquefies, sometimes it will all drop into one big lump but all the time it is around intricate mechanisms and it has to be 100% removed if you want the machine to ever work right. The turntable pictured along with this article was purchased on ebay from a seller that said just that. They put a new belt on, it spun and thus it worked. Of course it worked horribly but the case looked nice. I had to completely disassemble the motor to remove the goo. 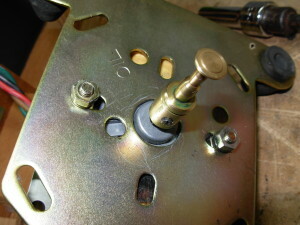 In fact it had even blocked up the motor bearing oil point which would have eventually caused the motor itself to fail. Fortunately, with a little knowledge and hard work I got it back to pristine condition. 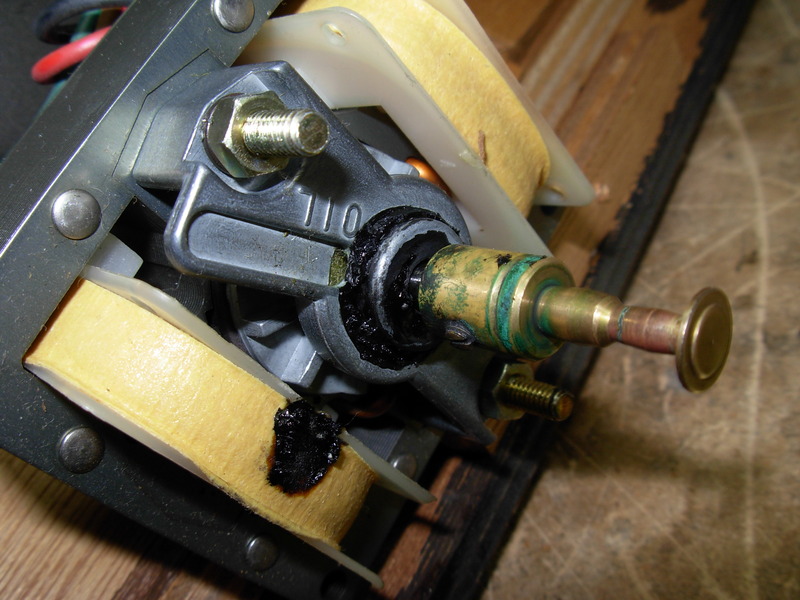 The first time I cleaned a gooed belt from a reel to reel I had goo everywhere. I even dropped a couple lumps on the workshop floor which I inadvertently tracked into the house. Fortunately, alcohol takes it out of carpet as well but it is not fun. The lesson here is to use a ton of paper towels and qtips and make sure they all make it into the trash as they will stay gooey forever. I know pride is considered a sin but I am always proud when I take a gooey mess and turn it back into the beautiful piece of audio machinery that it originally was. 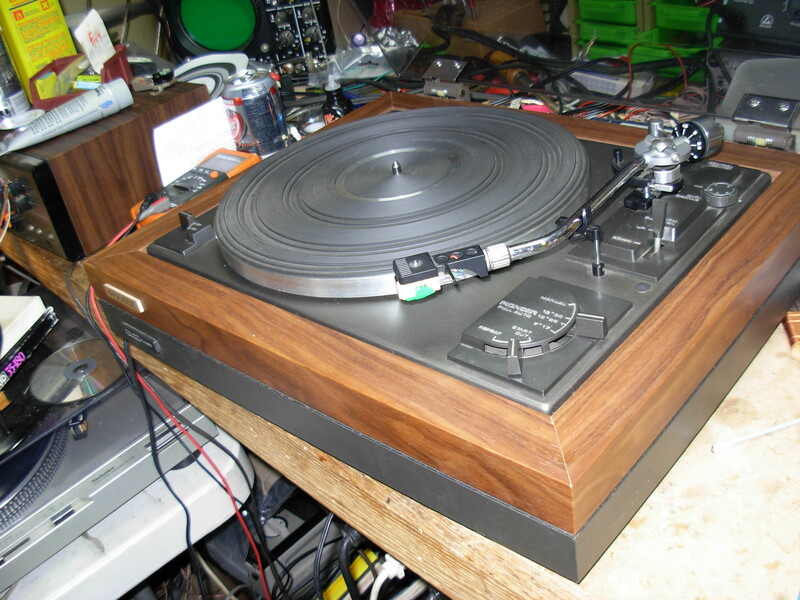 I know most people will never see the work that was done or even know it was done, but when they are listening to an lp or a tape playing on one of my machines and it brings them joy its gotta be just a little good karma.